The Orishas, Cuba's premiere rapperos, fuse the urban contemporary sound of Hip Hop with the bold, brazen and sometimes humorous lyricism of their ancestry. Forging the gap - Orishas have something to say - and "make it funky". Emigrante is head knocking good stories, articulate, musically cross cultural, and versatile in its vocal deliveries. A Latin Jazz group with a fresh flavor. Immigrant Blues combines different Latin rhythms, Mambo Jazz, Sambarock-like en Español, and Timba, the new sound of Cuba with very modern fun vocals and danceable Latin Jazz . Think Gato Barbieri -Azymuth meets Bamboleo. 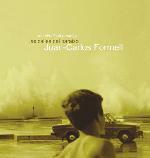 Jimmy Bosch is one of the world's best trombonists and it is evident on "Salsa Dura". He is hardworking and he swings con ache, exploring his impressive improvisational abilities. Jimmy Bosch captures many genres of Latin music, exemplifying his skills in melody and songwriting. Don’t miss Salsa Dura. "El canario", New York's favorite salsero, consistently provides dancers and music connoisseur with fresh and inspired Salsa music. This record is just that. He is one of the finest singers out now and a supreme sonero. Buy it! ¡Saboreando - Salsa Dura En El Bronx! Wayne Gorbea gives us the big sound of el condado de la salsa, a.k.a. "the boogie-down Bronx". Saboreando is a CD filled with dance tracks for salseros. The CD title speaks of its rhythms. It is must-have in your music collection. 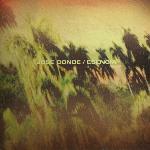 With Esencia, Jose Conde reveals his musical persona and respect for Cuban traditional sounds. Esencia probes the folklore and music of Cuban culture, with Son Montunos, and Guajiras, Cuban dance standards. and with a dreamlike and seductive interpretation of Amorosa Guajira simply and beautifully sung. It's "a great day in Harlem" when some of the most respected musicians of today together celebrate and pay tribute to those musicians whom inspired them. This is the story of Spanish Harlem, where a music revolution was born and where music history was created. Top musicians in this recording include Jimmy Sabater, Bobby Allende, Ray de la Paz, Oscar Hernandez, Frankie Vázquez and Herman Olivera. Yumuri demonstrates his exceptional capacities as a singer on this disc that blends Son with Salsa and the contemporary music of Cuba. With the participation of his famous brother Maraca on the track Me Hecho Bilongo and with 10 other great quality songs, including Acaramelao, Yurumi creates a unique sound that is both danceable and a pleasure for the listener. An all-star cast including Tata Güines, Changuito and Wilfredo Campa. 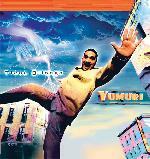 Orlando "Maraca" Valle creates a high-energy fusion of Afro-Cuban and Latin Jazz. An exceptional percussion-based recording, with a clear influence of the Santeria music, t hat mixes the street sounds of the conga with salsa, guaguancó, timba, cumbia and other Caribbean sounds. Considered to one of the best "Soneros" in "Tropical" music today, Domingo Quiñones’ first production together with Universal Music Latino has turned out his most diverse piece of work yet. Produced by the music legend Isidro Infante, on this disc you will find a mixture of salsa, baladas, pop and acoustic rock. "My favorite song on this album is Tremendo Cumbán-Oriente". With this disc, his second album, Grammy nominated musician Juan Carlos Formell combines traditional Cuban music, feelings and sentiments sung from the heart, with nostalgic sounds. The effect is mesmerizing and captivating. Here Juan Carlos Formell reveals his versatility as well as his innate musical talent. This record is a "must have" in any music lover's collection! Culturally rich music with a message impeccably played. 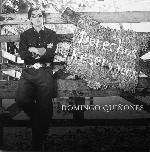 With New Yorkers Nelson Gonzalez, Marc Quiñónez, and Bobby Allende, the poet Rubén Blades makes musical reference to Grupo Folklórico Experimental Neoyorquino on the cut Estampa. Éditus Ensemble adds a new-aggie, and even flamenco and Arabic sound to this recording with feeling. Don't miss the cuts La Ruta and A San Patricio. Buy it! On "Que Se Sepa", West Coast band Tabaco y Ron deliver contemporary Salsa with an old school flavor. On this CD, their second release, vocalist Martin Padilla and band-leader/pianist/arranger Hector Manuel Rivera continue to impress with their sure-fire recipe for high-energy Salsa Dura. The roots of Salsa music are clearly heard in the classic Guajira "El Son Te Llama". I'm telling you - Buy it! Puerto Rican virtuoso Jimmy Bosch is one of Latin music's "bosses of the trombone". He demonstrates the energy of his fiery talent on this CD while he reveals his roots, loves, and his passion. It has Salsa Dura and a modern interpretation of Bomba y Plena, the folkloric music of Puerto Rico. Jimmy is pushing ahead the fundamentals of Latin music with an all-star lineup of musicians. Buy this disk now! You can thank me later. Los Soneros Del Barrio continue their New York Style Salsa on Remembranzas, their second CD release. Filled with remembrances of Salsa Dura composition, singer Frankie Vazquez pushes on with Pianist and arranger Ricky Gonzalez echoing the big band sound of the 70's in the likes of Pacheco, Ismael Rivera and Fania classics. Frankie Vazquez resonates the heart and soul of a true Sonero. Buy it. Little Johnny, Luisito Quintero, Pedro Martinez, and friends play the traditional beats in an LP recording that is in-your-face infectious. From the slow Yambú, the Guaguanco, or the exciting Columbia this CD has tracks that will compel you to move your body. 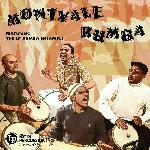 Swing on the wild side of the clave with Montvale Rumba. You’r going to love it! 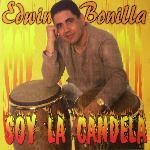 Edwin Bonilla, a versatile bandleader, composer and percussionist, plays timbale, conga, bongo, maracas, guiro, and clave. The track "Recordando las Descargas" is a Cuban descarga that will shake your dome, and light a fire under your feet. Jesús "el niño" Pérez (also on tres and flute) compliments the band with his baritone voice. This CD is smoke. If you want Salsa Dura & Son you’ll love it.